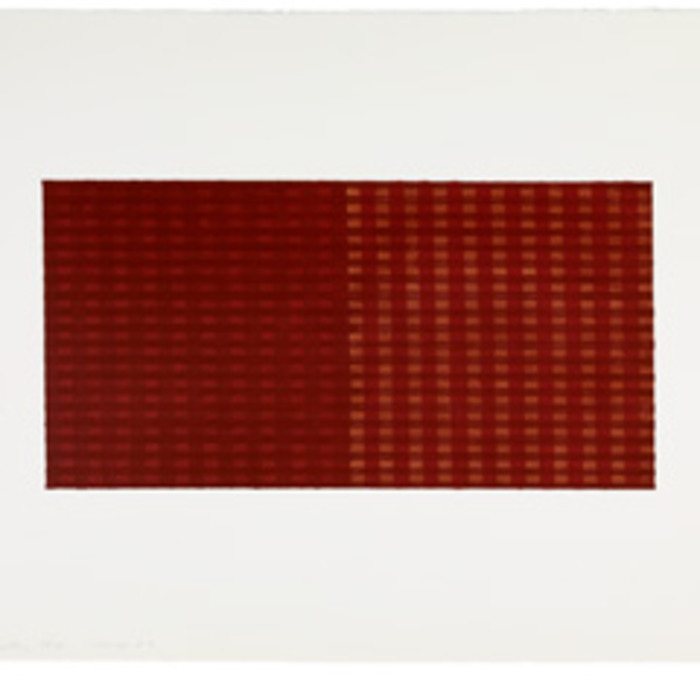 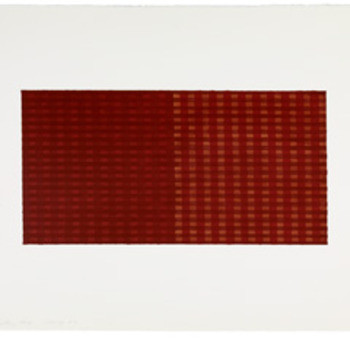 Change #7, 1975 Acrylic And Tape On Paper 22 1/2 X 30 2/3 Inches © Courtesy Neo Neo Inc, New York. 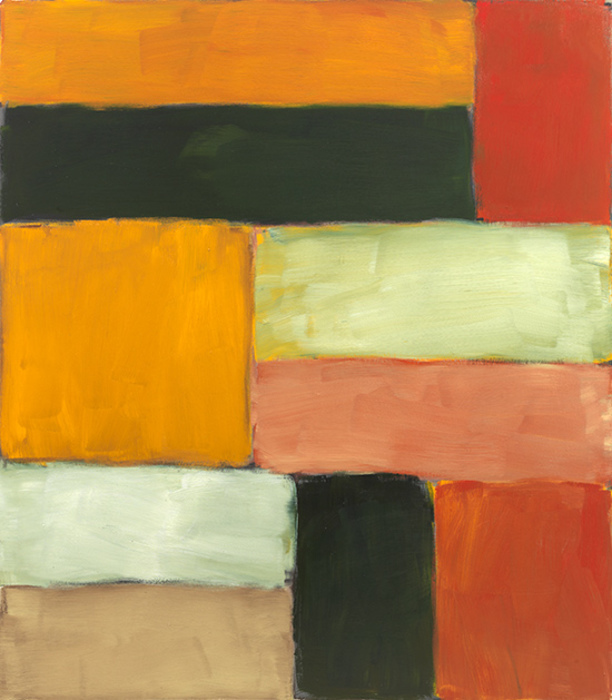 Photo © Sean Scully. 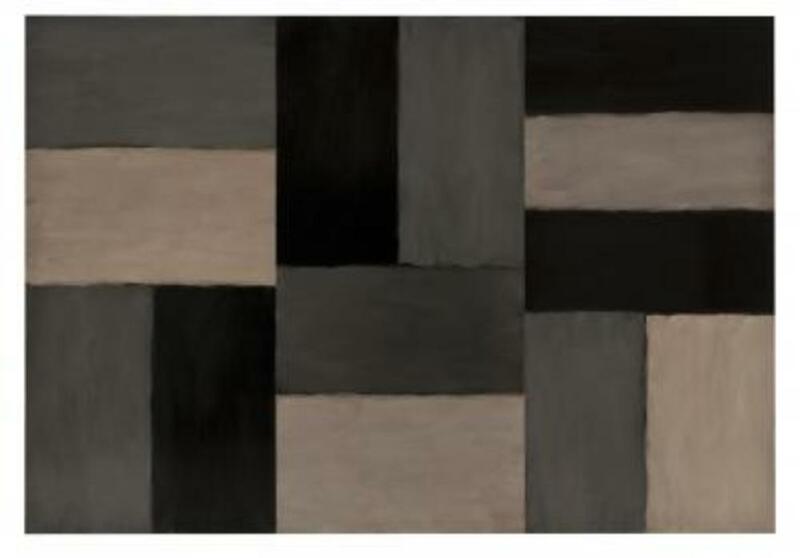 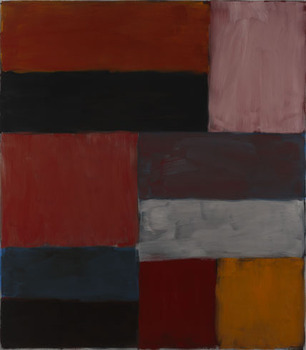 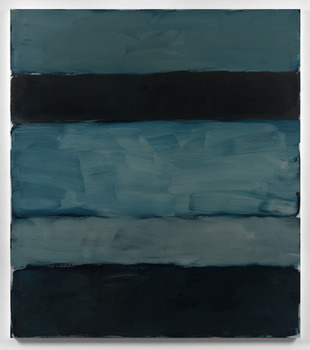 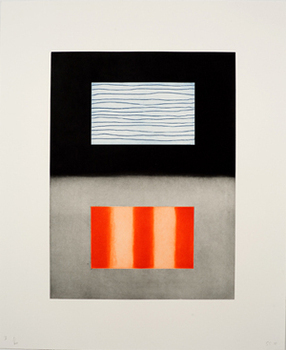 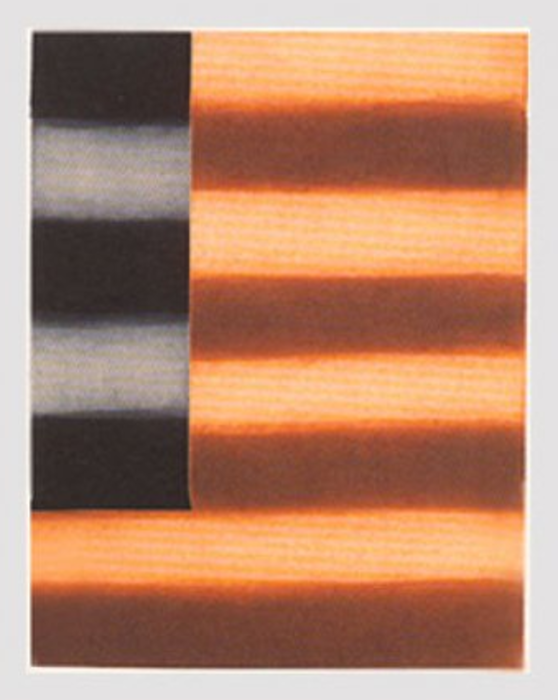 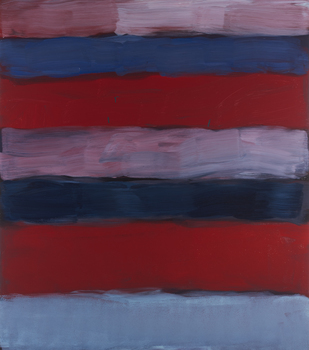 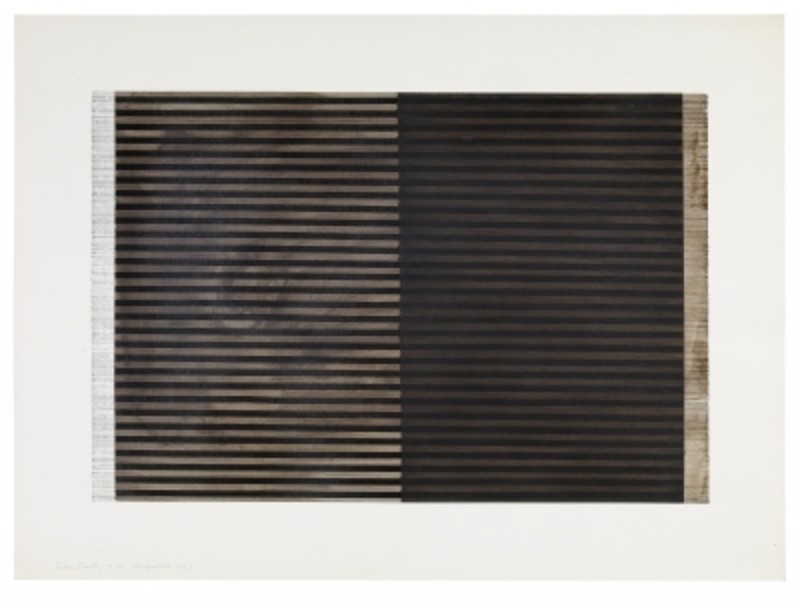 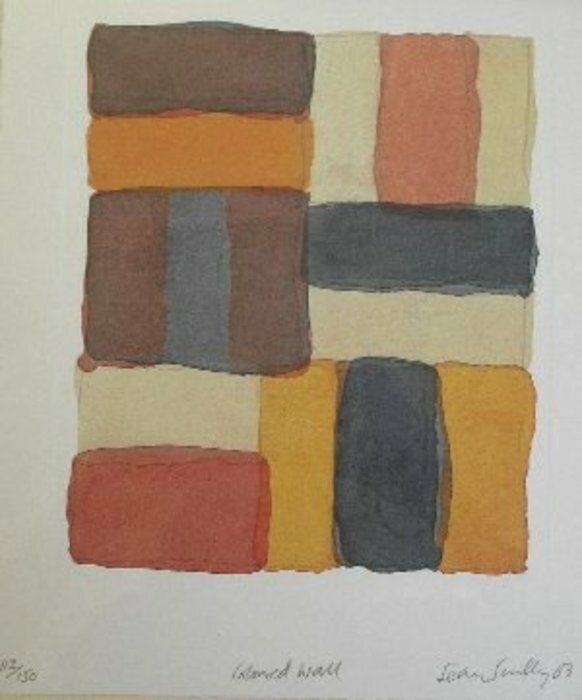 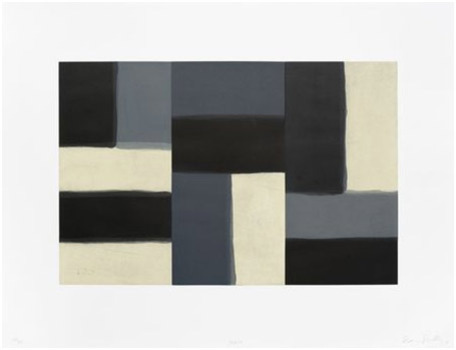 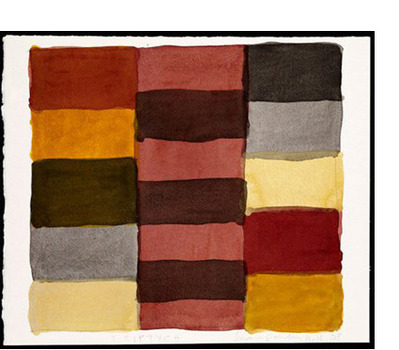 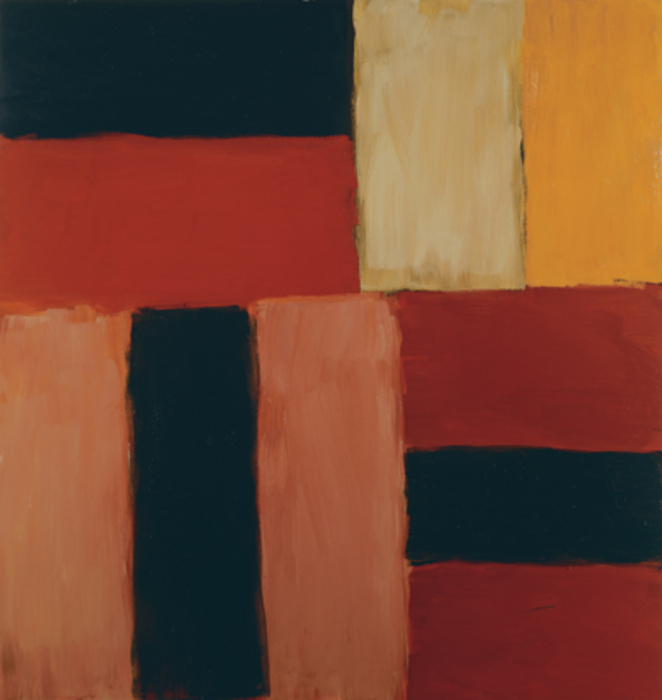 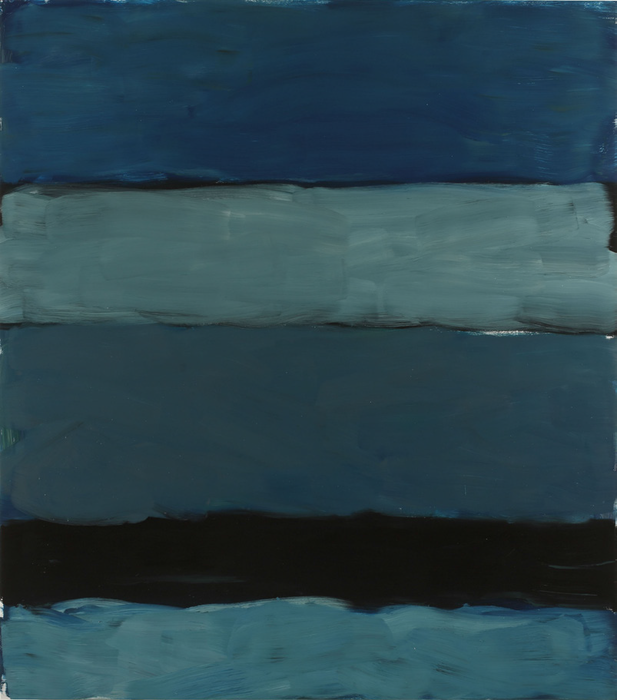 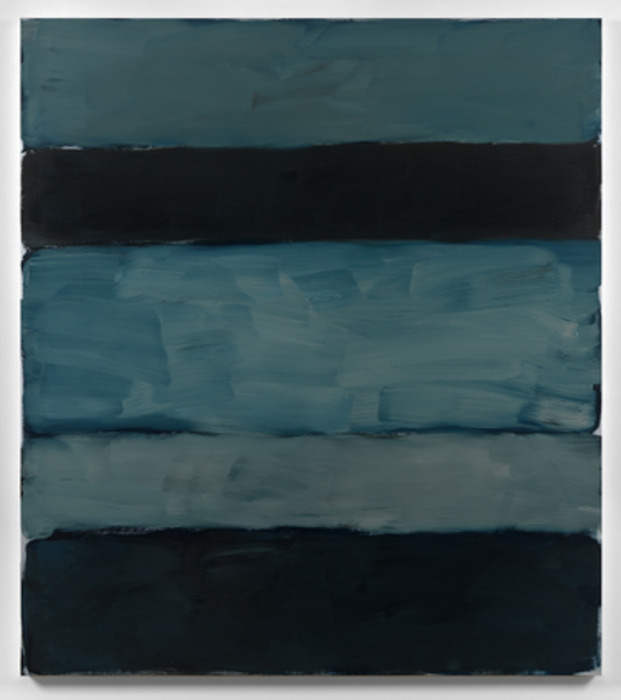 Sean Scully is an Irish-born American painter and printmaker who has twice been named a Turner Prize nominee. 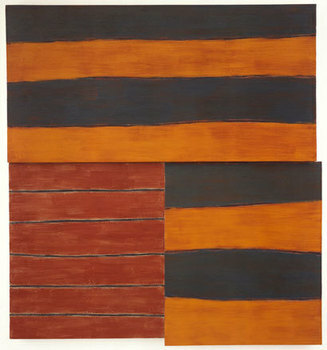 His work is collected in major museums worldwide. 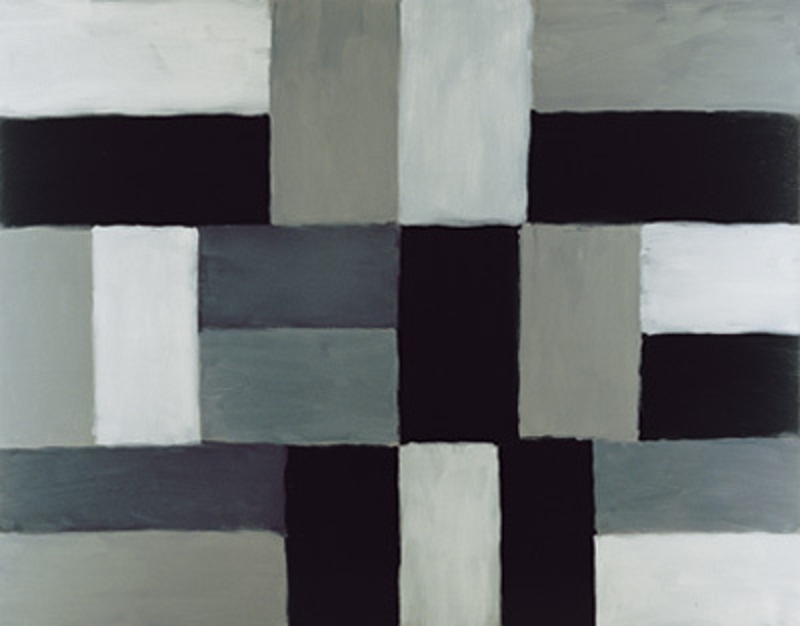 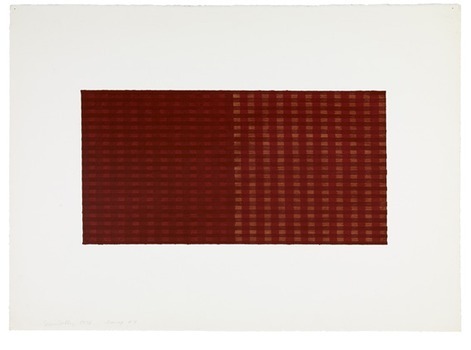 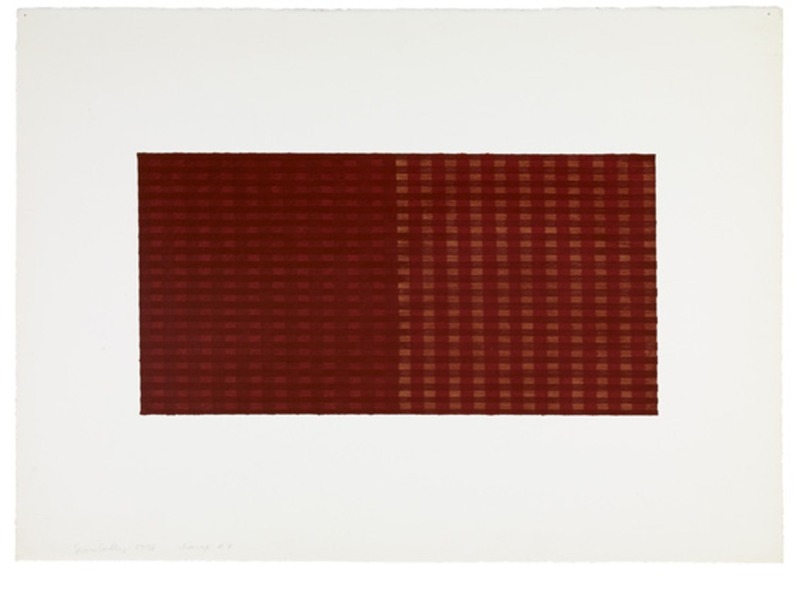 Scully's paintings are often made up of a number of panels and are abstract. 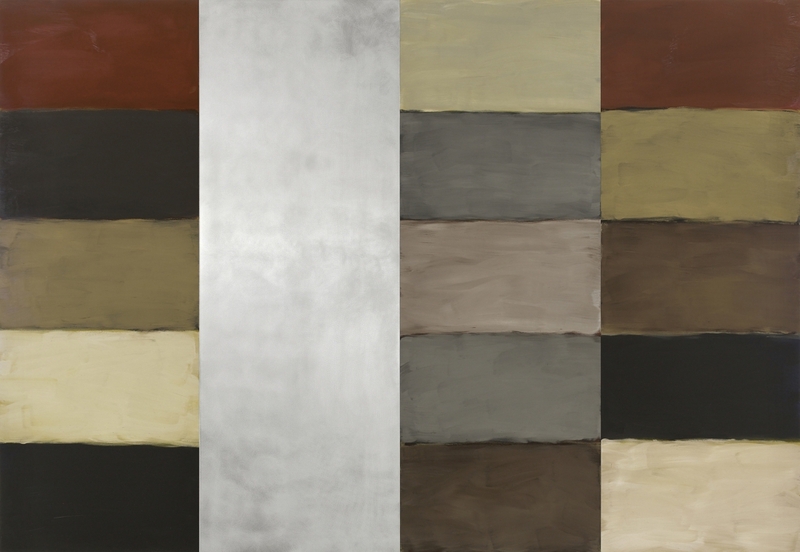 Scully paints in oils, sometimes laying the paint on quite thickly to create textured surfaces. 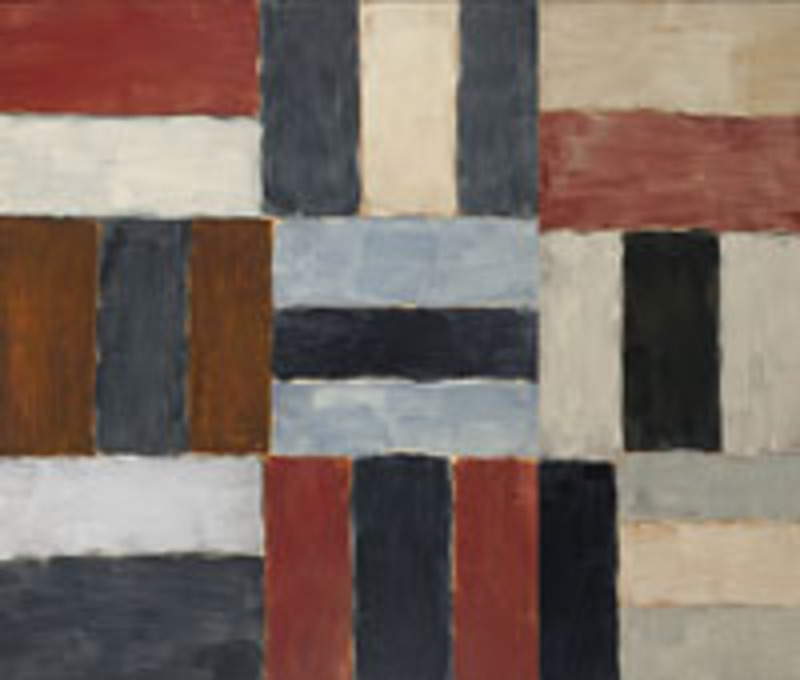 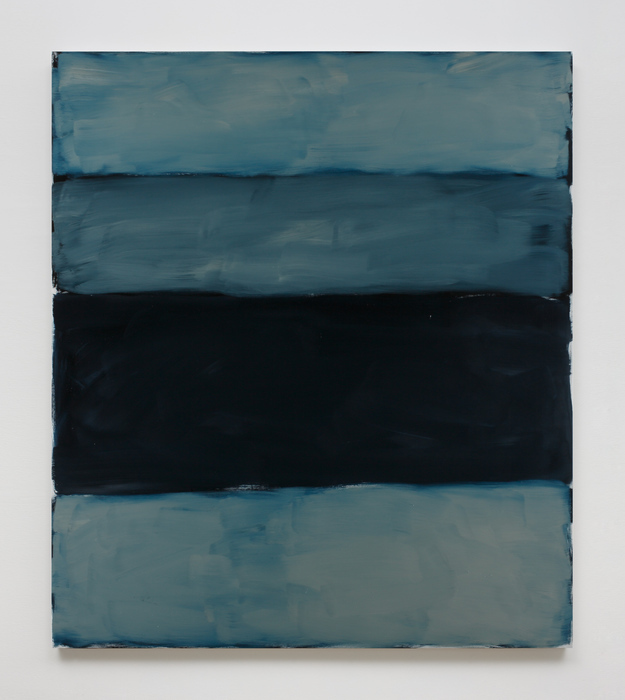 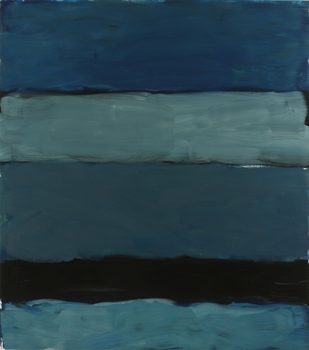 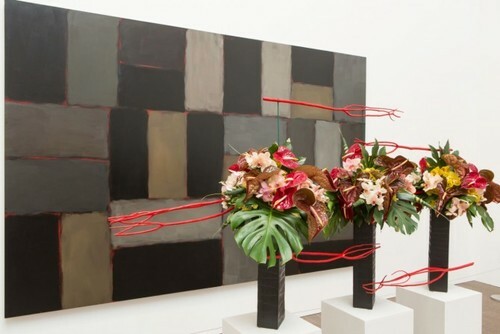 After a brief initial period of hard-edge painting Scully abandoned the masking tape while retaining his characteristic motif of the stripe which he has developed and refined over time. His paintings typically involve architectural constructions of abutting walls and panels of painted stripes. 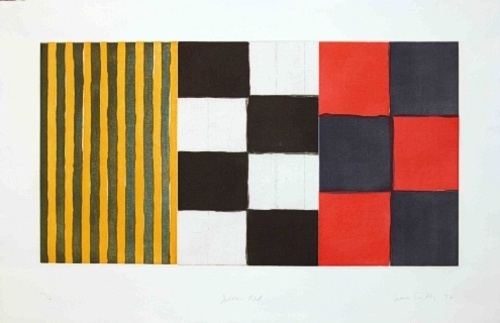 In recent years he has augmented his trademark stripes by also deploying a mode of compositional patterning more reminiscent of a checkerboard. 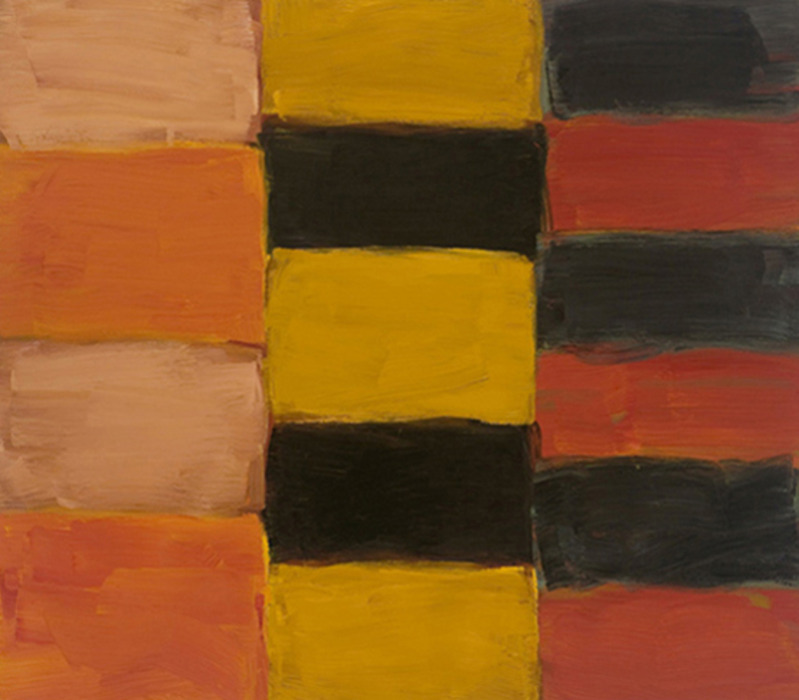 He has stated that this style represents the way in which Ireland has moved towards a more chequered society. 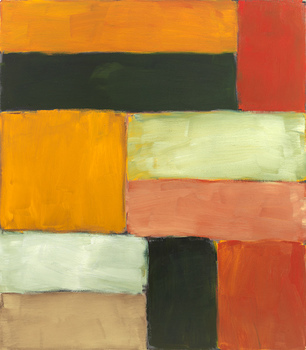 He stated in 2006, "I remember growing up in Ireland and everything being chequered, even the fields and the people." 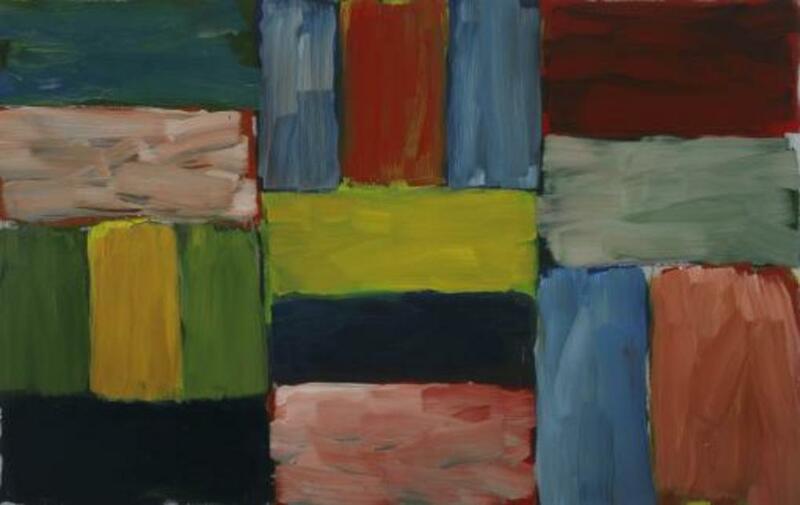 He was a professor at the Academy of Fine Arts, Munich.